Did you know? 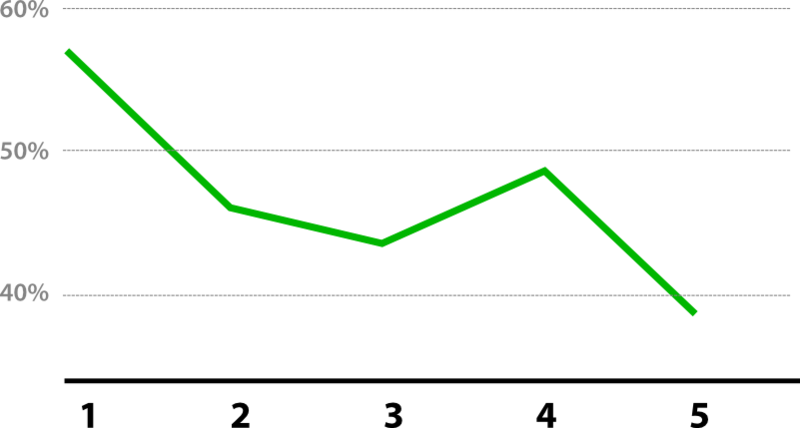 There is an inverse relationship between conversion ratio and the number of fields in your form. Translated to English, the number of fields in your purchase form makes your users get confused and go elsewhere for their tickets. This ranks high in our values and is the reason why you can get your tickets just by authenticating with your favorite network. But as always, we cannot ignore that some events require additional data: user age, passport/id number, shoe size. 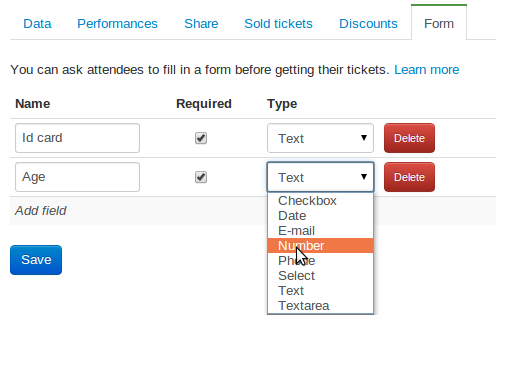 This is the reason why we have introduced Customized Form Fields for your events. With this feature you can introduce a list of form fields that will be required from each user before getting their tickets (one for each purchased ticket). The introduced values can be retrieved later as an Excel spreadsheet from your Sold tickets page.